The Food and Agriculture Organization’s (FAO) annual report on the State of Food and Agriculture (SOFA) 2015 explores the potential of social protection programmes in developing countries to tackle hunger and poverty. Social protection programmes fall into three main categories. These are social assistance: publically-provided non-contributory transfers that can be provided in kind (such as food) as well as cash; social insurance: pooled, contributory insurance programmes and labour market protection: provision of unemployment benefits, building skills and enhancing workers’ productivity and employability. A great diversity underlines the various types of social protection programmes found across and even within countries around the world. Typically, there are diverse sets of social protection programmes with different objectives, thus reflecting different contexts and preferences. At present, many developing countries are increasingly recognising that social protection measures are vital to relieving the deprivation of the poor and prevent others from falling into poverty traps when crises strike. Programmes such as cash transfers, school feeding and public works offer an economical way to provide vulnerable people with greater opportunities to end extreme poverty and hunger and also improve the health of their children as well as take care of their education, the report adds. Extreme poverty is disproportionately concentrated in the rural areas of the world. The World Bank estimates that, by 2010, 78 per cent of the extreme poor were living in rural areas. The report says that social protection can offer a sustainable pathway out of poverty, if there is inclusive growth in the economy. In most low- and middle-income countries, agriculture remains the largest employer of the poor and is a major source of livelihood. However, poverty and its corollaries—malnutrition, illness and lack of education—limit agricultural productivity. Social protection programmes have expanded rapidly over the past two decades. Such programmes currently benefit 2.1 billion people in developing countries in various ways, including keeping 150 million people out of extreme poverty, the report adds. However, there is wide variation among various regions, with the coverage lowest in regions where poverty incidence is the highest. “It is urgent that we act to support the most vulnerable people in order to free the world of hunger,” FAO Director-General José Graziano da Silva said. “Social protection programmes allow households to access more food—often by increasing what they grow themselves—and also make their diets more diverse and healthier. These programmes can have positive impacts on infant and maternal nutrition, reduce child labour and raise school attendance, all of which increase productivity,” he added. Agriculture and rural poverty are closely related. Agriculture generates about 10 per cent of the gross domestic product (GDP) in low- and middle-income countries and employs about 45 per cent of the total labour force. The figure means that the value of output per worker is much lower in agriculture than in other sectors, implying low incomes for people who depend on agriculture for livelihood. “Rural people in most developing countries, and especially in Sub-Saharan Africa (SSA), rely on agriculture for an important share of their incomes. For poor agricultural households, income from on-farm activities is relatively more important than it is for other agricultural households,” Croppenstedt said. For example, in Ghana food producers make up 43 per cent of the population, but account for 69 per cent of the headcount poor. In SSA, almost three quarters of the economically active rural population are small family farmers who produce a significant share of their own food for consumption but many of them are poor or extremely poor, the economist added. Family farms form the backbone of agriculture in low- and middle-income countries, but many family farms are small. Almost 75 per cent (375 million family farms) in low- and middle-income countries are smaller than one hectare. “The poorest farming households are the net food buyers, and food makes up a large share of the household budgets of the poor, whether or not they farm,” Croppenstedt said. It is the poor’s reliance on agriculture for livelihood and the high share of expenditure on food that makes agriculture key to poverty and hunger alleviation interventions. In some countries and regions, such as the Sahel region in Africa, rainfall variability, land degradation and desertification contribute to vulnerability and poverty. Climate change is set to worsen these stresses over the coming decades, the report warns. The Child Support Grant in southern Africa is the largest social protection programme in SSA. It entails cash transfers to the primary caregiver of a child who is under the age of 18 and living in a household earning below a defined income threshold (in 2014 the programme covered 11 million poor children). Only about a third of the world's poorest people are covered by any form of social protection. The coverage rate dips even lower in South Asia and SSA regions with the highest incidence of extreme poverty, the report says. However, without assistance, many poor and vulnerable people will never have the opportunity to break out of the poverty trap, according to the report. 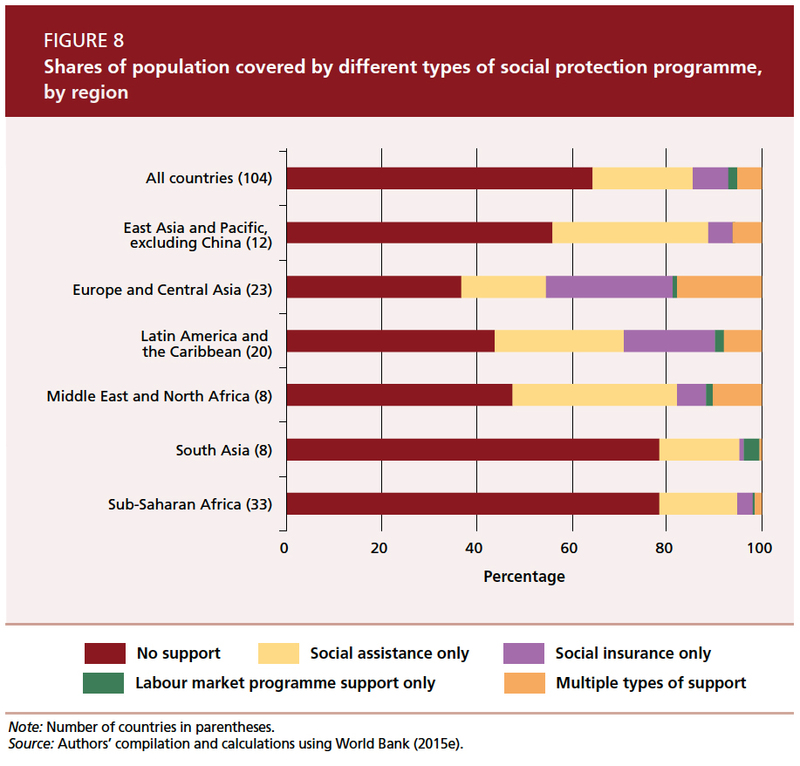 Most countries—even the poorest—can afford some kind of social protection programme. According to FAO, globally some $67 billion a year in income supplements, mostly provided by social protection programmes, will allow for the eradication of hunger by 2030. That is less than 0.10 per cent of world GDP. The FAO report cites successful examples of social protection programmes in Ethiopia, Ghana, Lesotho, Zambia and Bangladesh. But social protection alone cannot sustainably eradicate hunger and rural poverty, the report adds. So, it underscores the need for combining and coordinating public investment in social protection with public and private investments in agriculture and rural development. Such actions will ensure inclusive economic growth as a sustainable way to break the cycle of rural poverty. The report also shows that progress has been uneven across the world. Though the prevalence of hunger and poverty has fallen substantially in some regions, especially in East Asia and the Pacific as well as Southeast Asia, in South Asia and SSA, progress has been slow overall. The report says that investment in agriculture remains the single most effective way to provide opportunities to generate income and improve nutrition, especially for women and youth in rural areas. What do you mean by social protection? There is no single definition of social protection, but broadly speaking social protection is a set of interventions whose objective is to reduce social and economic risk and vulnerability and alleviate extreme poverty and deprivation. In the past, social protection was a safety net to protect people against destitution, especially when confronted by sudden shocks. 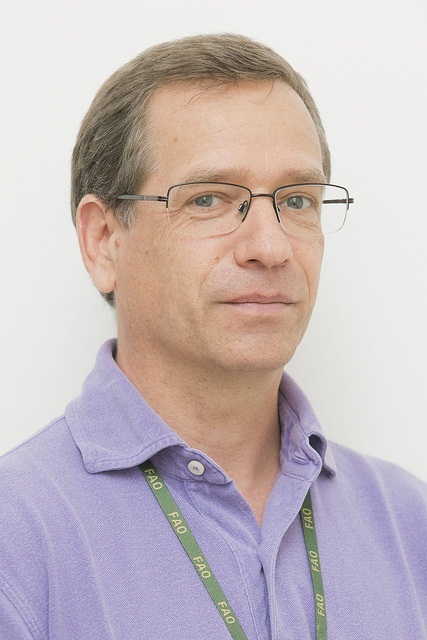 Now, it is recognised that social protection can play a wider range of functions, as seen in the Protect-Prevent-Promote-Transform (PPPT) scheme, where social protection may relieve deprivation (protective), avert deprivation (preventative), enhance and stabilise incomes and capabilities (promotive), and tackle social inequity and exclusion (transformative). Why is it important to connect social protection and agricultural interventions? Social protection interventions have proven to be an effective instrument in combating poverty and hunger, yet social protection alone cannot sustainably move people out of hunger and poverty. Although poverty and extreme poverty have declined substantially over the past decades, the numbers remain high and in Sub-Saharan Africa little progress has been made. Also, a large proportion of the poor and food-insecure (people) live in rural areas and depend on agriculture for their livelihood. There are a number of factors that make it difficult for the poor to escape from poverty. Hunger, poor nutrition, ill health and low productivity keep them trapped in poverty. Economic growth has helped many out of poverty, but the process is slow and excludes many. Moreover, many households are vulnerable to poverty when exposed to shocks of one kind or another. To manage the risk, poor family farmers and labourers adopt low-risk, but low-return activities. And in the aftermath of a shock they are often forced to adopt measures such as lowering consumption, selling assets or taking children out of school that deepen their poverty, now and in the future. India is dependent on monsoonal rainfall for agriculture. Even, according to several studies, Africa is prone to climate shocks. Considering climate impacts on crop yields, to what extent will social protection programmes ensure food security? Social protection can play a protective role in providing means to access food for the chronic poor and mitigate the impact of shocks. It can also have a preventative function in averting deeper deprivation by creating resilience against shocks, preventing loss of assets and support accumulation of assets to sustain livelihoods. Social protection does more than fill income and consumption shortfalls, as it also facilitates productive investments. It can fulfil promotive function by directly supporting investments in human resources (nutrition, health, education) and by lifting liquidity constraints and reducing income security to induce investments in farm and non-farm activities. 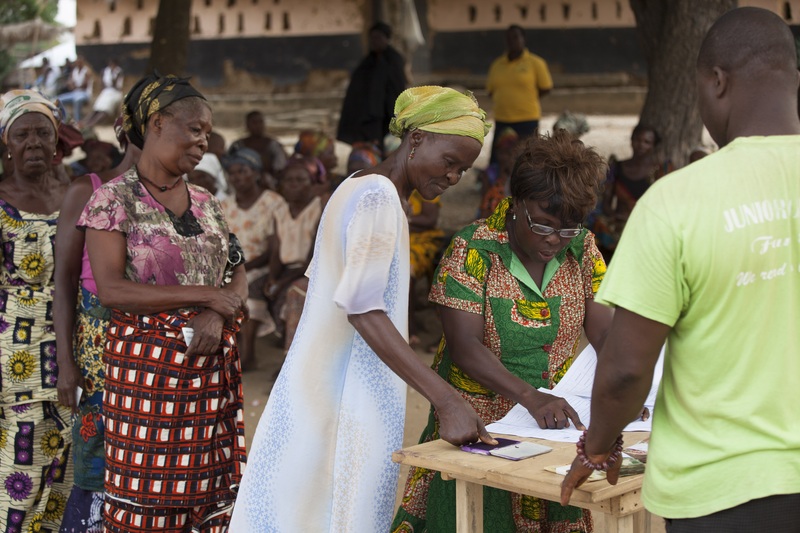 Social protection can also play a transformative function by changing the lives of the poor by shifting their focus away from day-to-day survival to investing in their future, by shifting power relations within households (as social protection can empower women) and by strengthening their social networks and capacities to take their lives in their own hands. Seasonality of production is a challenge that (rural) households face and is a major contributor to hunger and under-nutrition. When appropriately designed, social protection can mitigate the adverse impacts of seasonality. In Bangladesh, the Employment Generation Programme for the Poorest (Food for work) creates wage employment in exchange for food during the slack season and is considered a good example of a seasonal programme. Do you think MGNREGA and TPDS (targeted public distribution system) have done India any good? 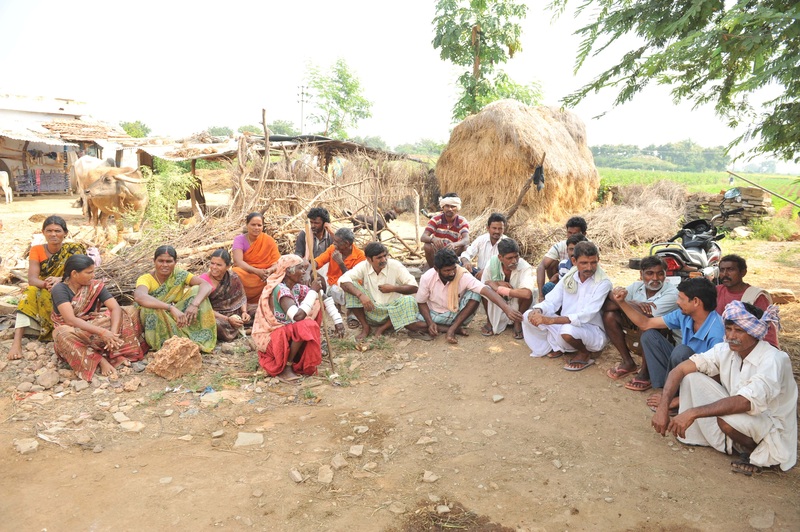 How can these schemes be harnessed better to reduce rural poverty? In India, MGNREGA—the world’s largest anti-poverty programme—is meant to provide adult members of rural households willing to do unskilled manual work a number of days of employment. At its peak in 2010-11, the programme covered 55 million rural households (about a 1/3 of the total). Independent studies show that, despite shortcomings, the MGNREGA programme contributes to reducing poverty and increasing social inclusion, but available evidence also indicates that MGNREGA’s performance varies significantly across states. One study found that the MGNREGA programme in Bihar could potentially reduce poverty in the state by 14 percentage points, but that its actual impact was closer to one percentage point. It concluded that most of this shortfall was due to the scheme failing to provide the promised “guaranteed” employment. India’s Targeted Public Distribution System is an example of a food price subsidy that reached about 45 per cent of the population in 2010–11 and was expected to reach about two-thirds of the population (75 per cent of the rural and half the urban population) from 2013. The TPDS has had a strong poverty-reducing impact: the poverty headcount rate in 2009–10 would have been 4.6 percentage points higher in the absence of the TPDS and the mid-day meal (scheme). Over the same period, TPDS reduced rural poverty at the national level by about 11 per cent and the poverty gap by 18 per cent. Economic growth, especially agricultural growth, has been an essential factor in driving down poverty rates, strong economic growth helped reduce the global poverty rate from 46 to 27 per cent between 1990 and 2005. The report states that social protection can help diversify and increase food consumption? How is it possible and how will it help farmers resist climate shocks? Available evidence shows that households that receive social protection spend more money on food consumption. Typically, they also diversify the food they consume, in particular they purchase more fruits, vegetables and meat. At the same time, many of the poor (who depend on agriculture for some of their income/food supply) spend some of the transfer on small livestock, agricultural inputs and other forms of productive activity. Very often they are able to consume more also because they are able to produce more as a result of the transfers they receive. What are the ways to reduce the vulnerability of small-scale and subsistance farmers in developing nations? Social protection can play a part. The existence of social safety nets that people can access when they face a shock is crucial in terms of preventing them from reducing consumption, selling assets, taking their children out of school and so on. At the same time there are important other interventions, for example, agricultural insurance and irrigation, that can help make farmers less vulnerable. India introduced the National Agricultural Insurance Scheme in 1999. Today, it insures about 15 per cent of all farmers (Demeke et al., 2014). The scheme is based on a yield-index approach with payouts triggered when crop yields in a defined area fall below historical yields. 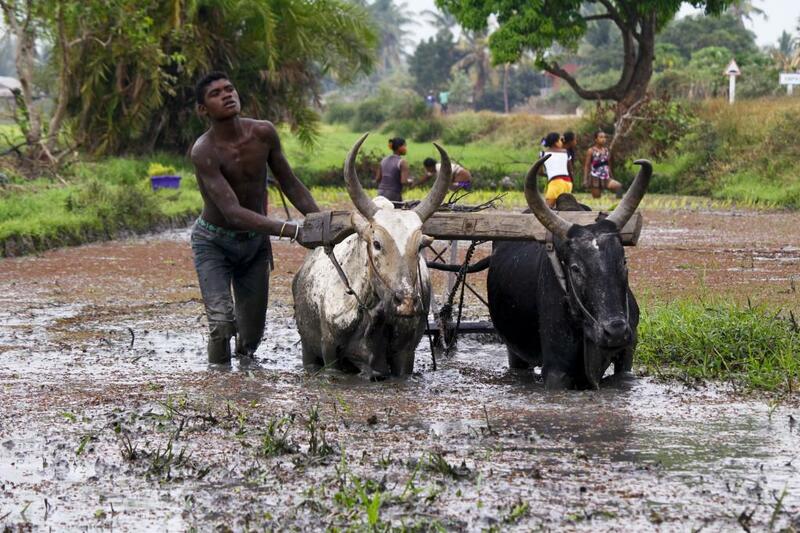 Typically, poor farmers cannot afford insurance unless it is free or subsidised. Other forms of support may come through publicly funded research into seeds that are more stress resistant. Should governments in developing countries be more farmer-friendly? Is that the way to increase the net of social protection? Will giving cash benefits to farmers and creating favourable markets for their produce help in the long run? 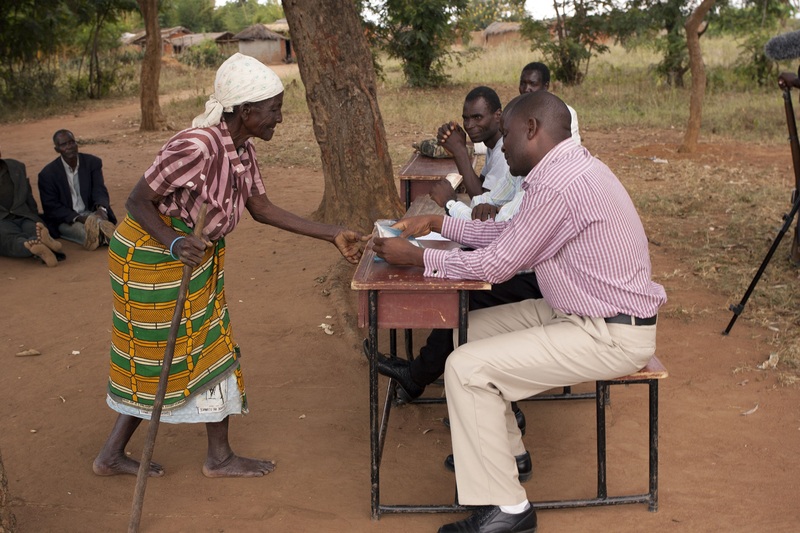 Social protection is meant to provide support to the poorest and the vulnerable. Not all farmers will fall into this category. However, agriculture is an important sector where many people find employment. Fostering agriculture is important also to help create employment and demand for local goods and services. Giving cash to the poorest can help create demand for locally-produced goods and it is generally the non-beneficiary households (that is not the poorest) who are able to supply this demand. In this sense, social protection benefits the wider community and contributes to a virtuous circle of local economic growth. Complementary programmes may be necessary to reduce supply-side constraints, thus preventing price rise and increasing the real-income and production impacts of the programme. The State of Food and Agriculture 2015 report released by the Food and Agriculture Organization (FAO) on Tuesday says that expanding social protection programmes in rural areas across the world and linking them to inclusive agricultural growth policies will ensure reduction in the number of poor people. When it comes to overall development and ending the cycle of rural poverty, gender is an important part of the social protection network. As the report shows, positive impacts on child and maternal welfare are enhanced when such programmes are gender-sensitive or especially targeted at women. This is important as maternal and child malnutrition perpetuate poverty from generation to generation in villages. In a blog, Ana Paula de la O Campos writes that the rationale behind targeting women, when it comes to social protection schemes, is many. Without doubt, women play a variety of roles: they perform the bulk of household chores especially in rural regions, prepare food and take care of children, the sick and the elderly. The blogger goes on to say evidence shows that when women have money, it is more likely to be spent on food and children’s basic needs, including education and healthcare. If they receive cash aid, it is likely to be spent on what is believed to be women’s household priorities—food and nutrition, education and health. “Gender-sensitive social protection programmes have a great role to play in accelerating women’s economic empowerment as they not only reduce women’s vulnerabilities, but also provide opportunities to enhance employment status, control incomes, own productive assets, broaden social networks, and raise awareness of rights,” she says. A great side of social protection schemes is that they can empower women and make them self-sufficient. One of the most important things behind the success of such programmes is the inclusion of women and the degree of assistance (monetary or otherwise) they receive. In most rural households women play a definitive role in agriculture and other allied activities. Thus, including women under the social protection network is more likely to ensure its success worldwide. Take this for example. Bangladesh Rural Advancement Committee (BRAC’s) CFPR-TUP (Challenging the Frontiers of Poverty Reduction—Targeting the Ultra Poor) programme in Bangladesh is based on a better understanding of the gendered dimensions of poverty and vulnerability, the FAO report says. The programme targets poor rural households and provides women in these households with productive assets, primarily livestock. Rural households are also provided with savings services, weekly home visits and training (on how to use assets, health and hygiene matters, basic skills and literacy), as well as general support and counselling (including how to handle gender violence, early marriage and dowry pressures). The programme also holds lessons in how to handle gender-sensitive social protection programmes. The report says that impact differences (of social protection) are due to women and men using transfers differently. Many social protection programmes target women because a substantial body of research shows that giving women greater control over household spending raises expenditures on food, health, education, children’s clothing and nutrition, and improves overall human resources. Many studies show that transfer programmes have unexpected impacts that vary with gender, the report adds. For example, men and women may not invest in the same type of livestock. While women generally seem to prefer small livestock such as goats, sheep, pigs and poultry, men prefer larger livestock such as cattle, horses and camels. That women care for children and the elderly comes out clearly in the report. For instance, in Bangladesh, women’s assets were disposed of more quickly to respond to family illnesses but men spent their assets to cover marriage expenses. Labour supply decisions also differ with gender. For example, in Kenya’s Cash Transfer Programme for Orphans and Vulnerable Children (CT-OVC) programme, transfers made it easier for women to participate in the labour force, the report says. Additional income may also lead to women shifting labour to domestic care and work, rather than work outside the household. However, it becomes imperative to acknowledge women’s productive role as well.